Presenting Cricket Play 3D, the best cricket game of 2014 which has all the thrills, excitement & power pack action of real time cricket. Custom designed for Windows Phone to give you the best experience of playing free 3D cricket game on the go! This cricket season bring out the passionate cricketer inside you, live your dreams and come out as CHAMPIONS! On popular demand from all the Cricket Play 3D fans, we have introduced full scale bowling mode now. Amazing Live TV streaming style rotating 3D CAMERA VIEWS. Feel the full 3D animations of batsman, bowlers, fielders and umpires. 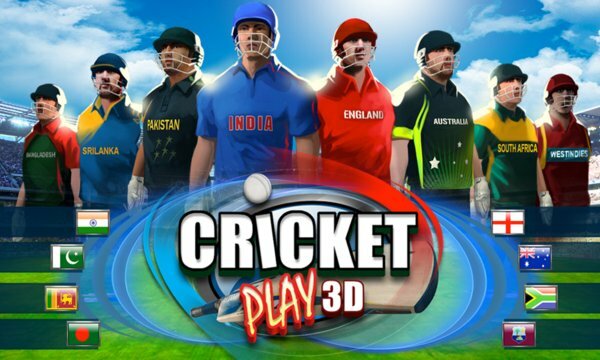 Follow Cricket Play 3D on Facebook and become a fan!